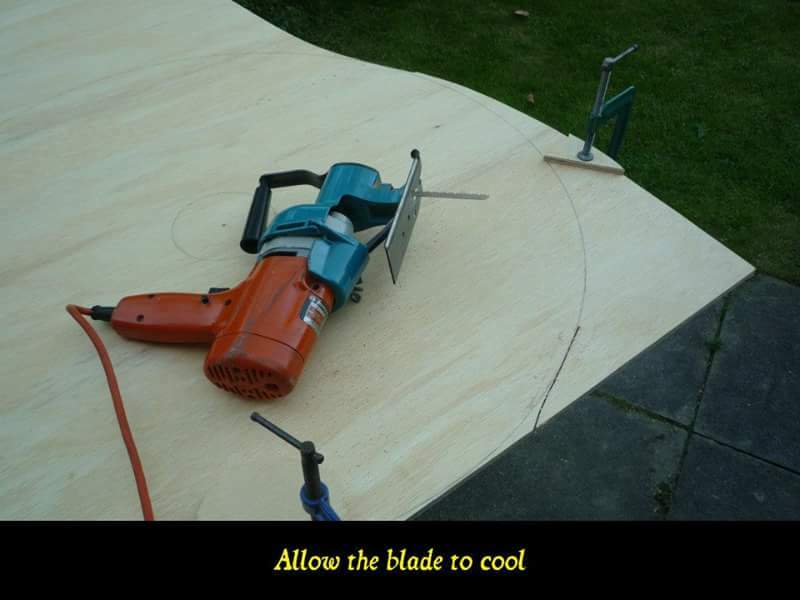 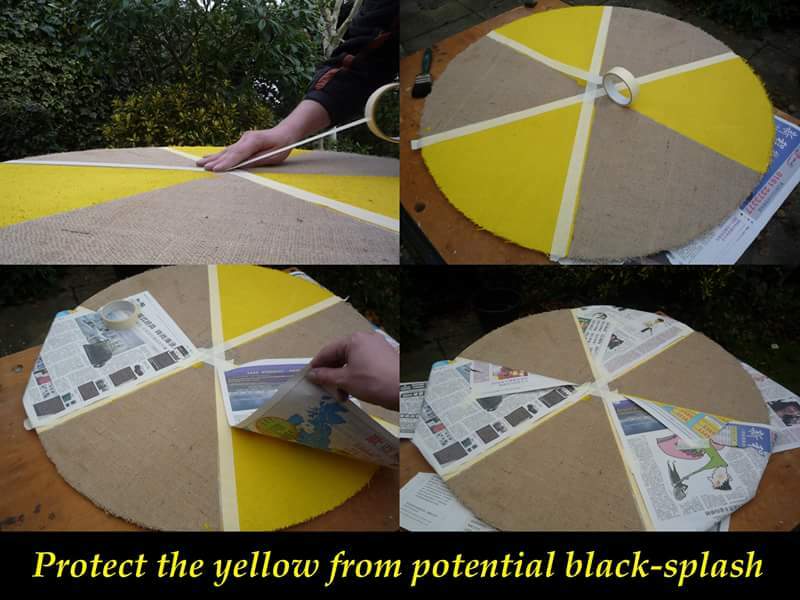 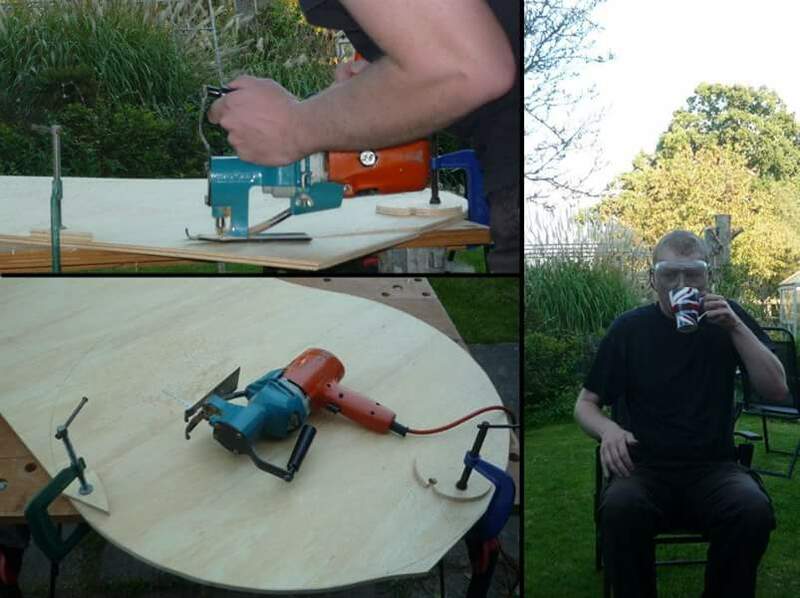 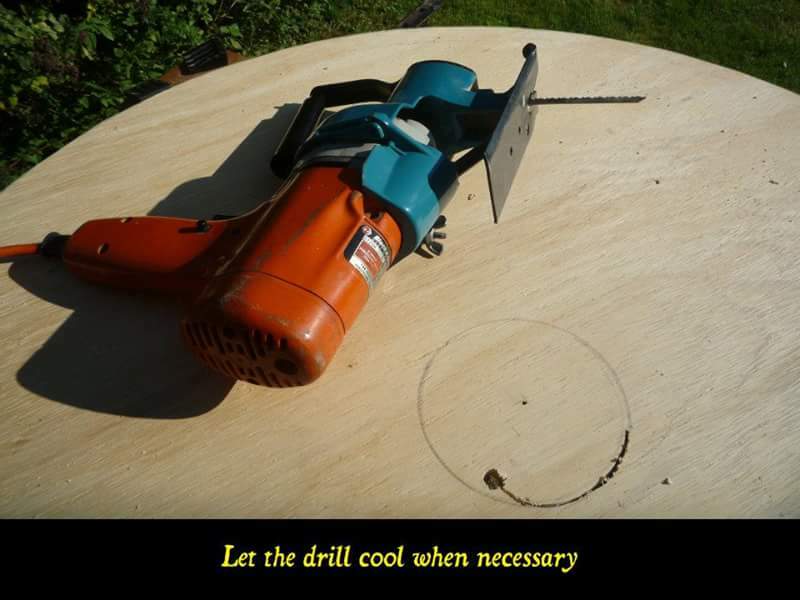 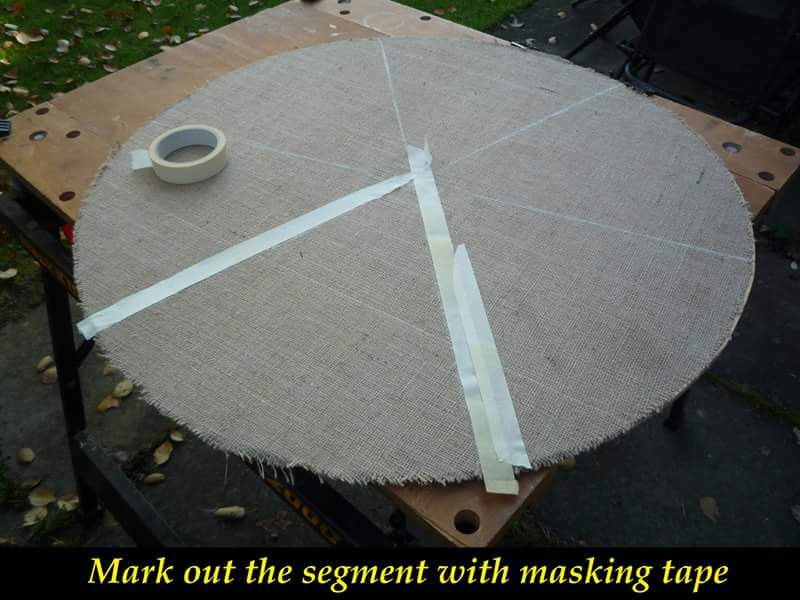 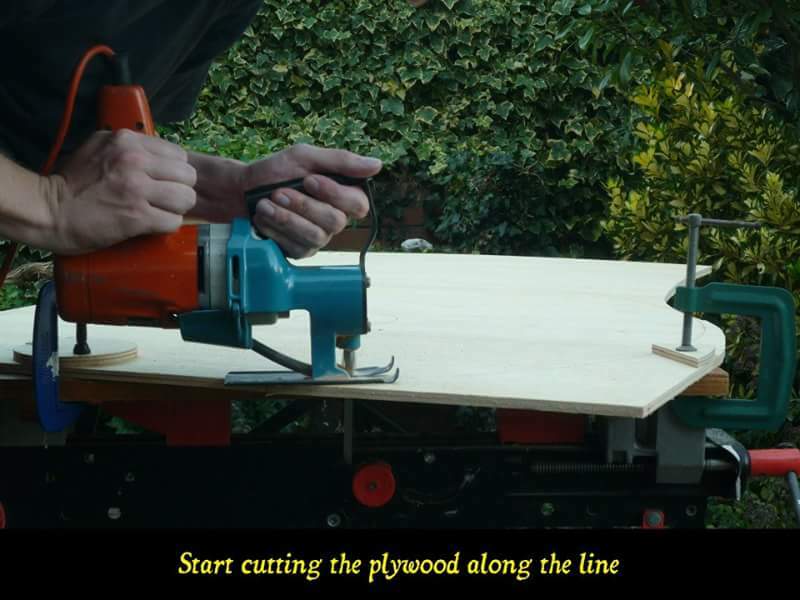 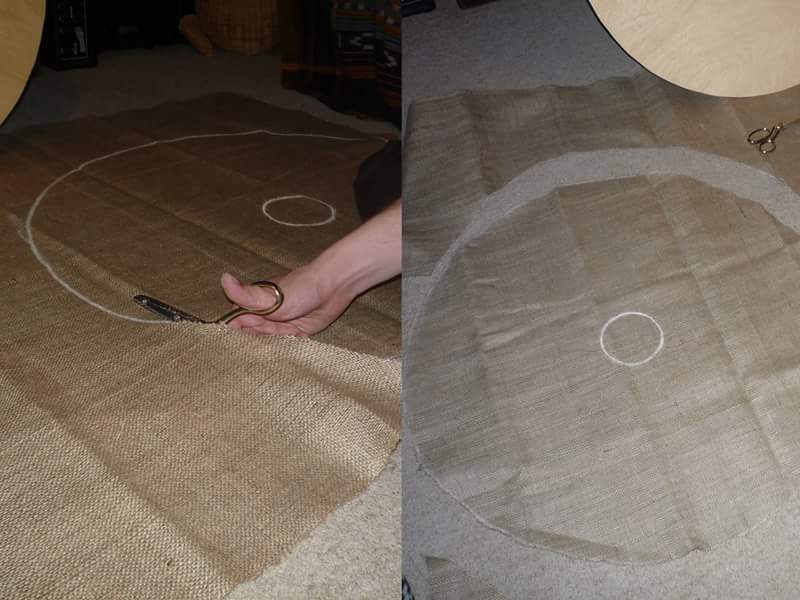 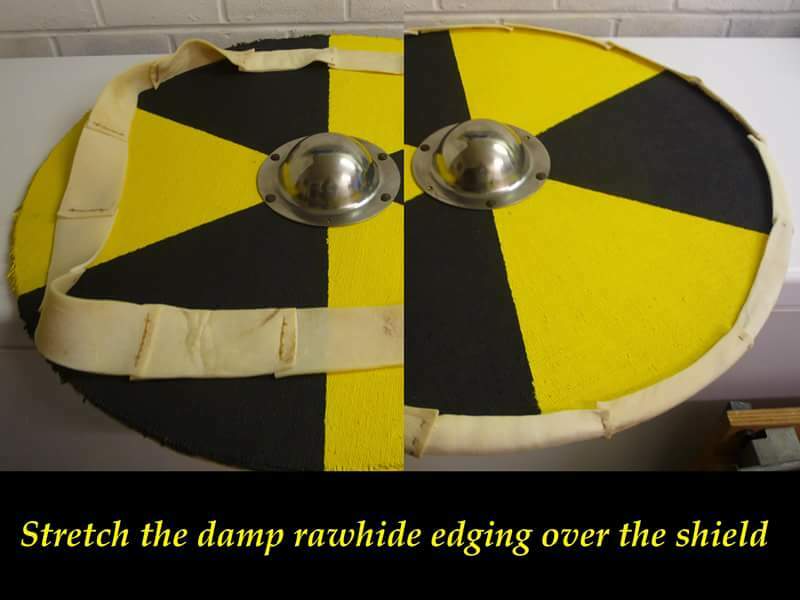 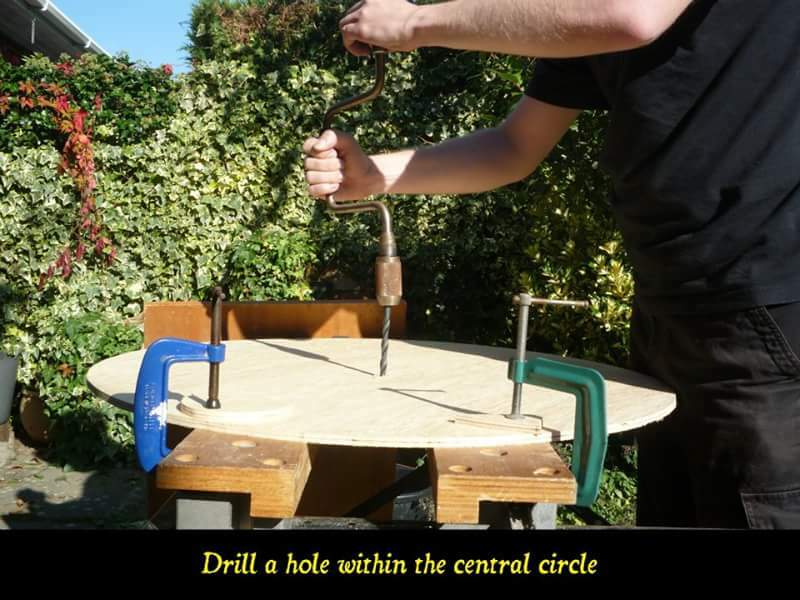 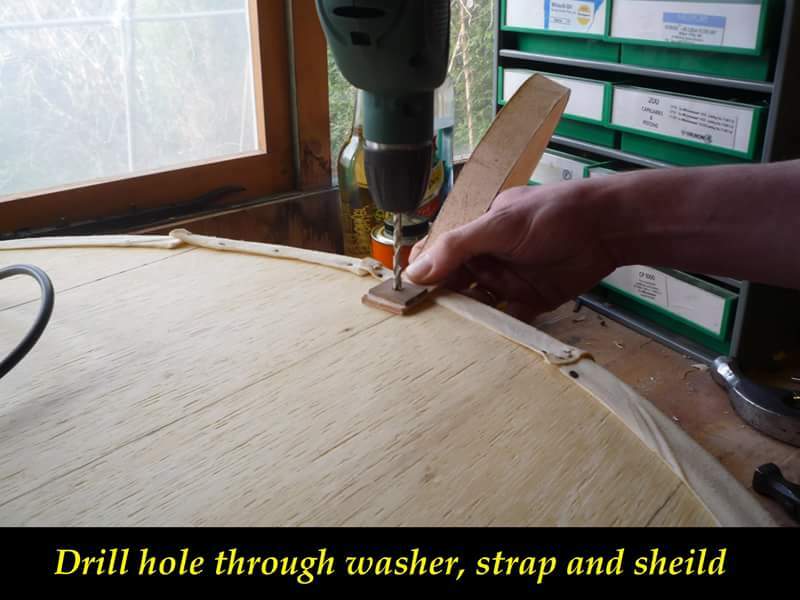 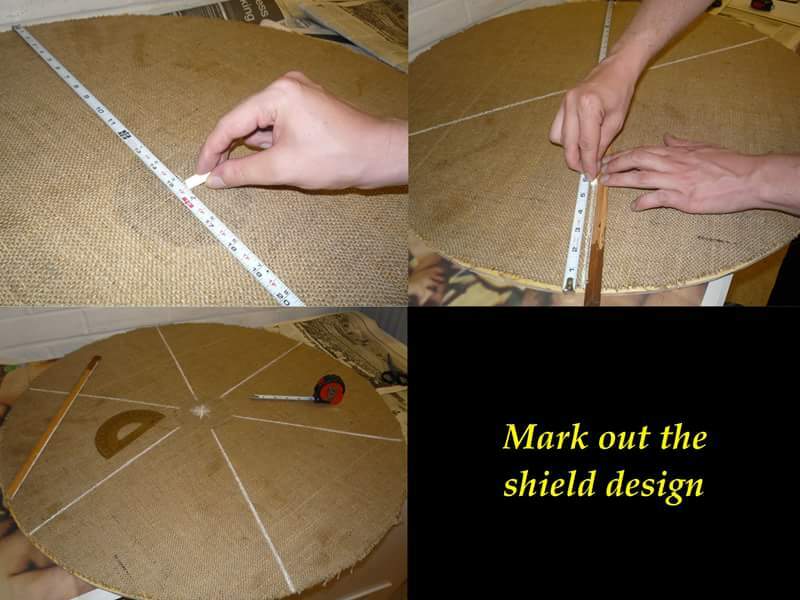 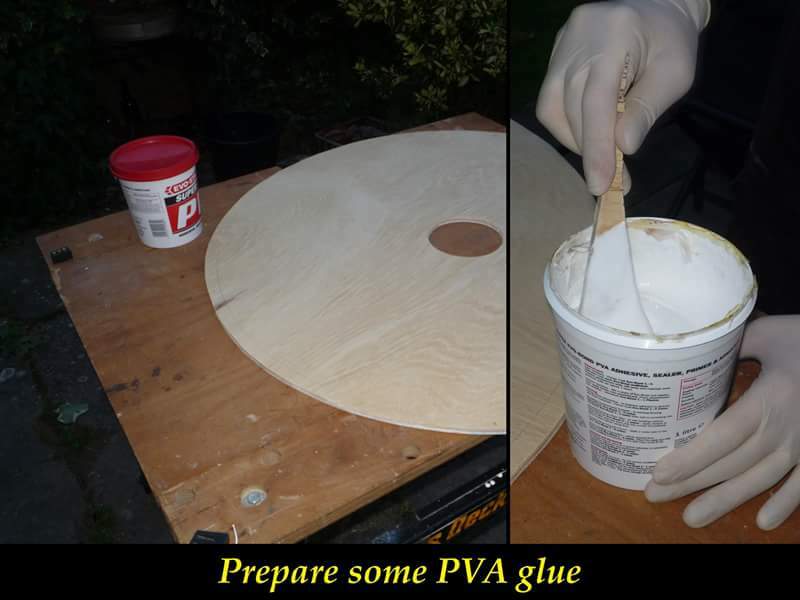 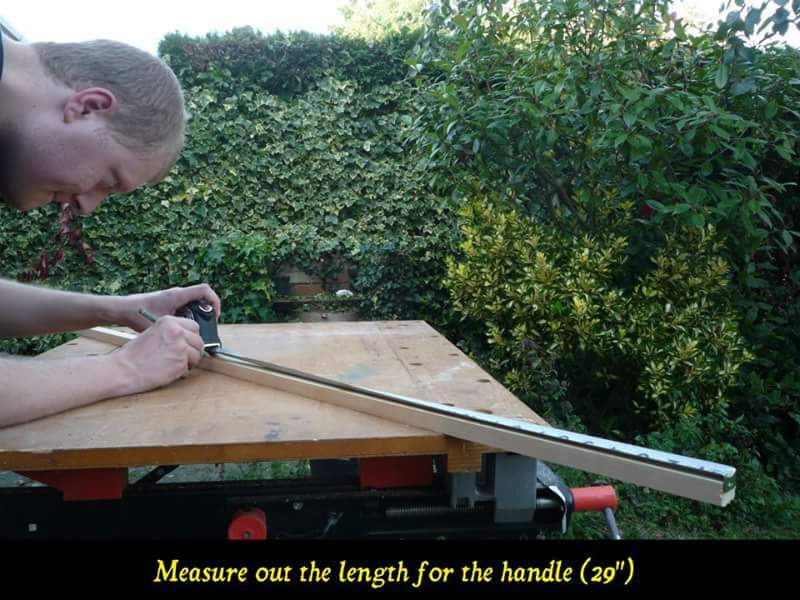 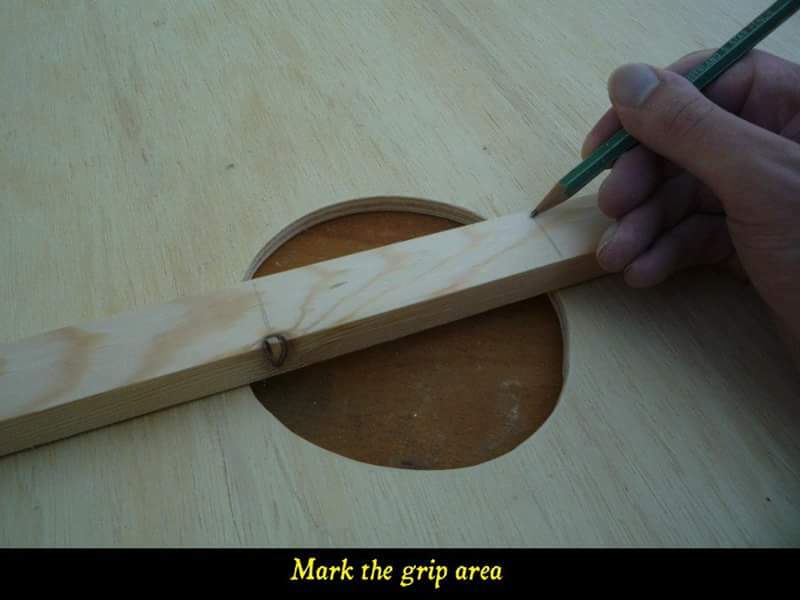 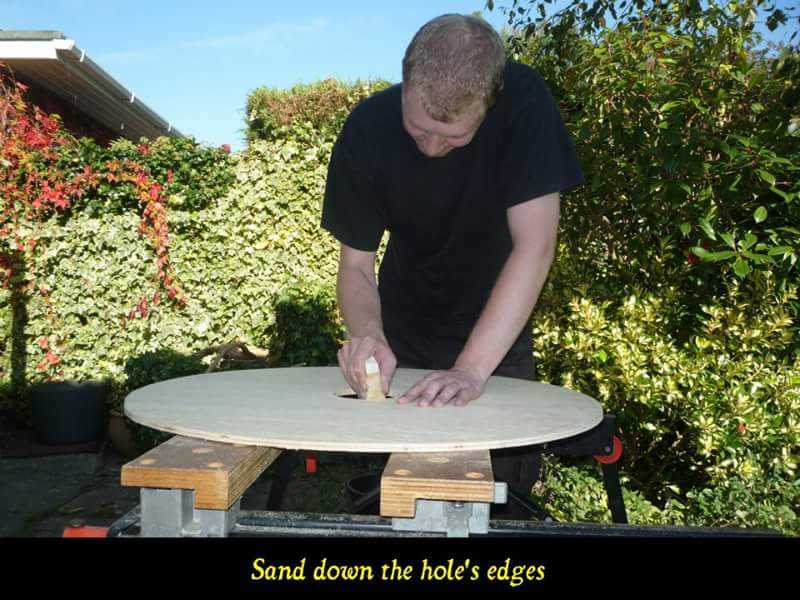 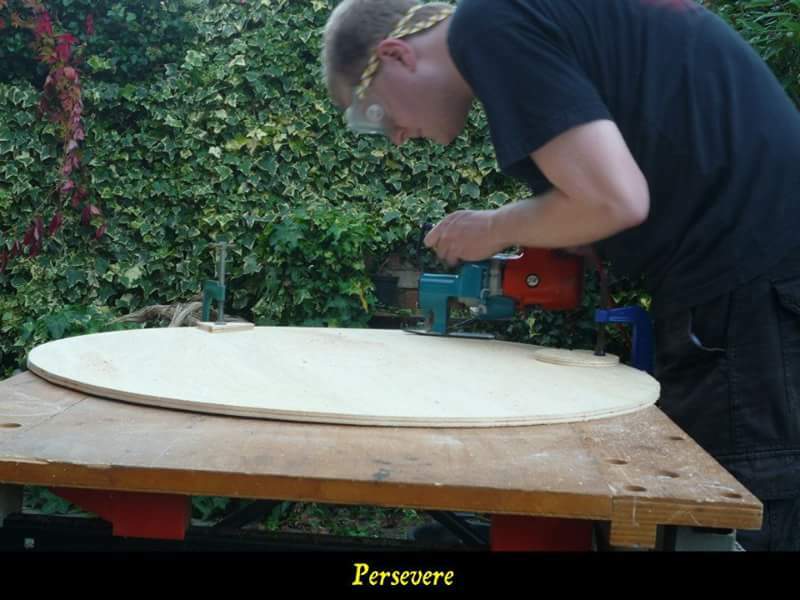 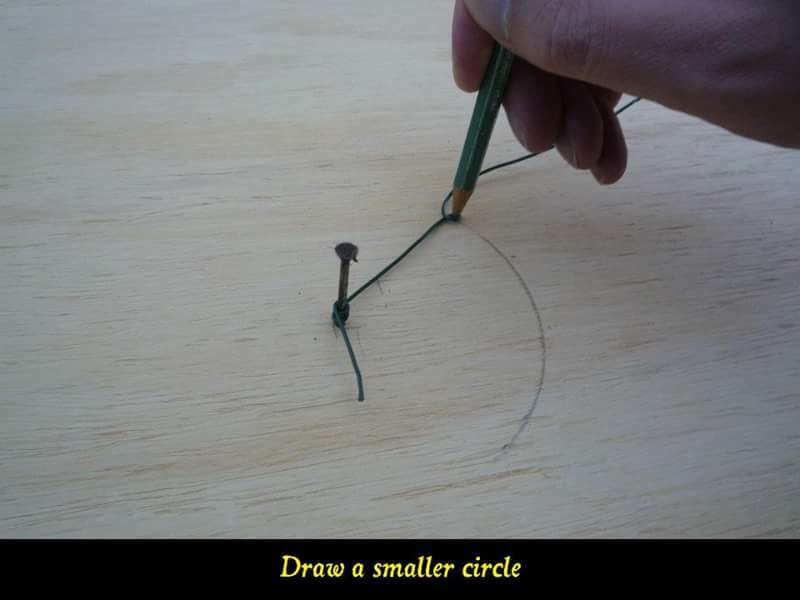 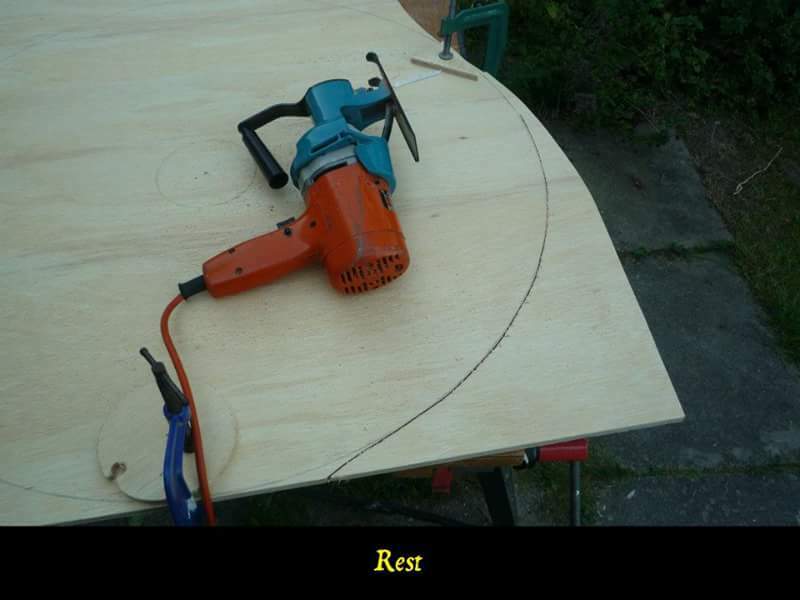 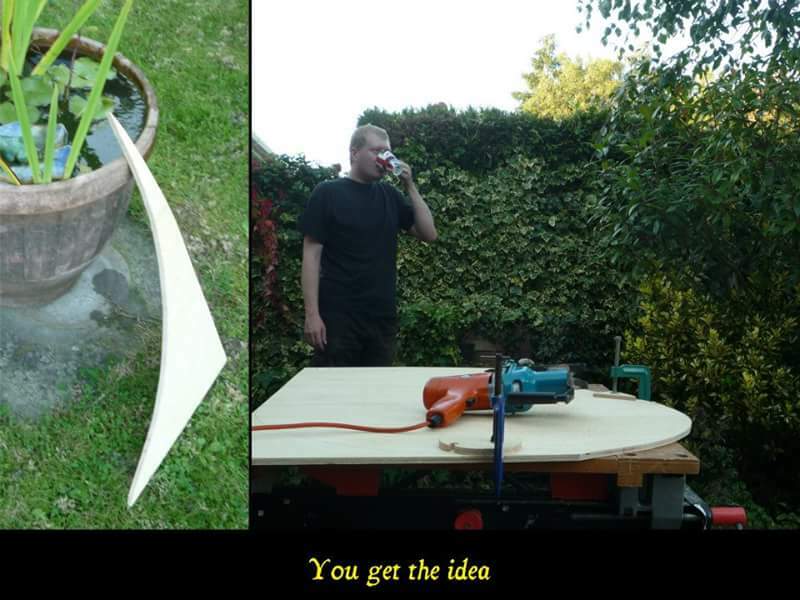 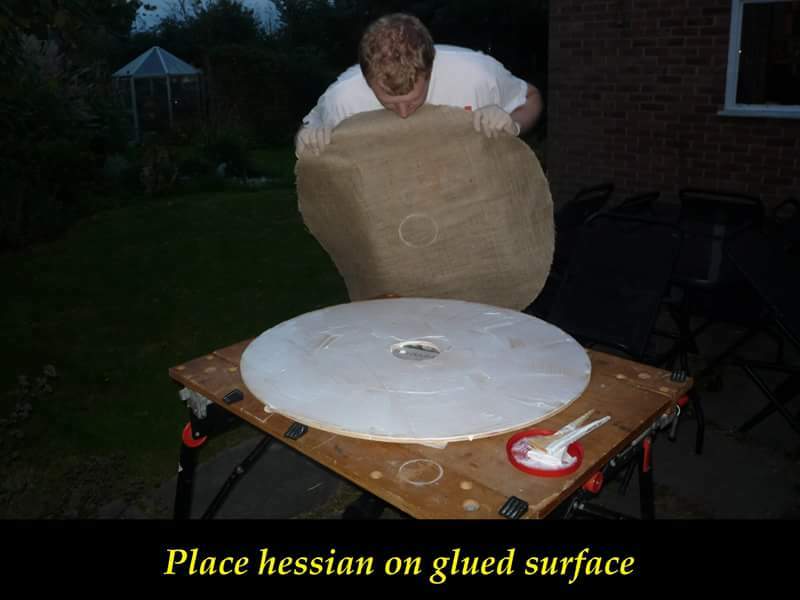 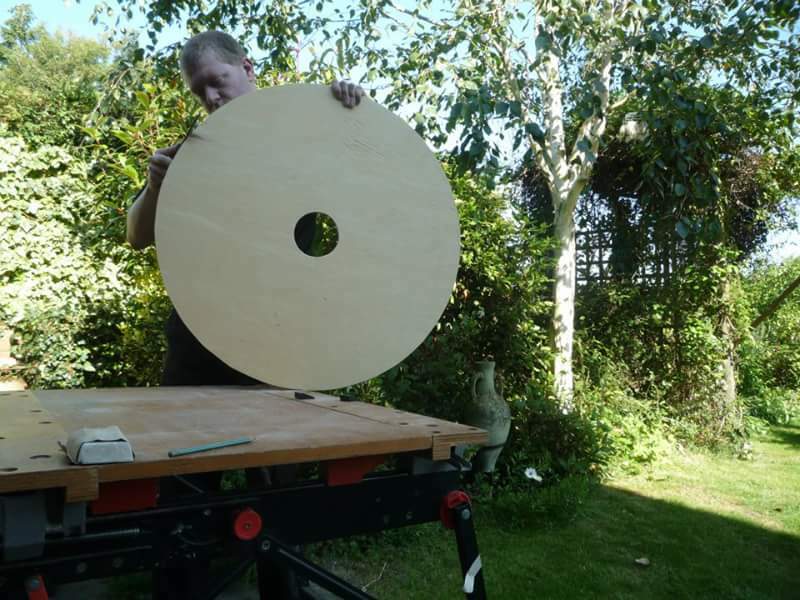 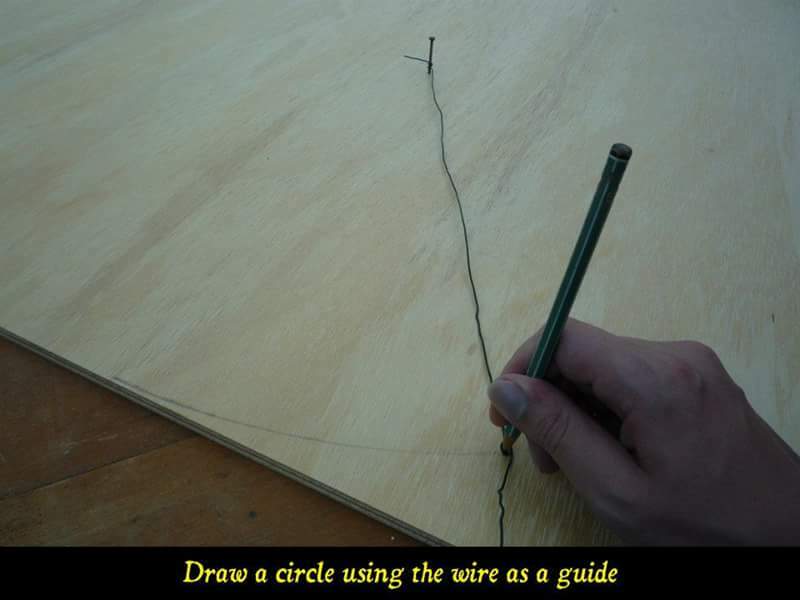 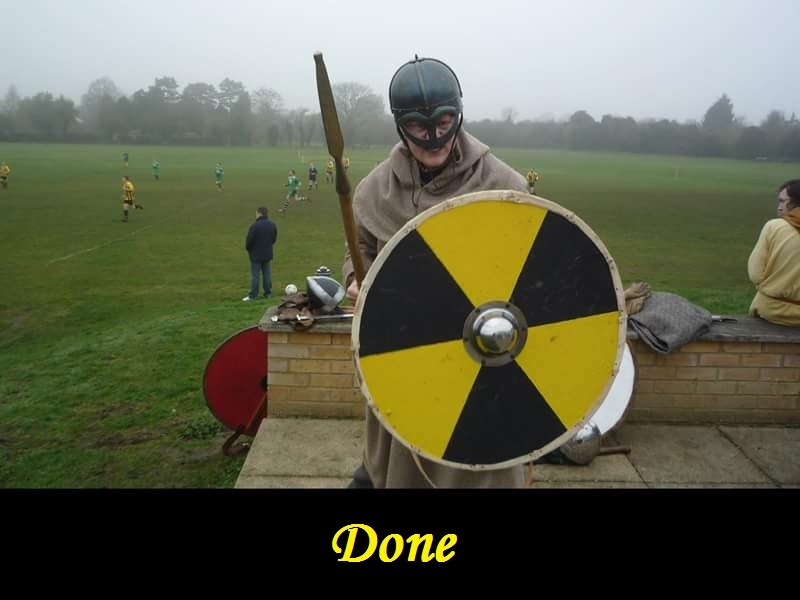 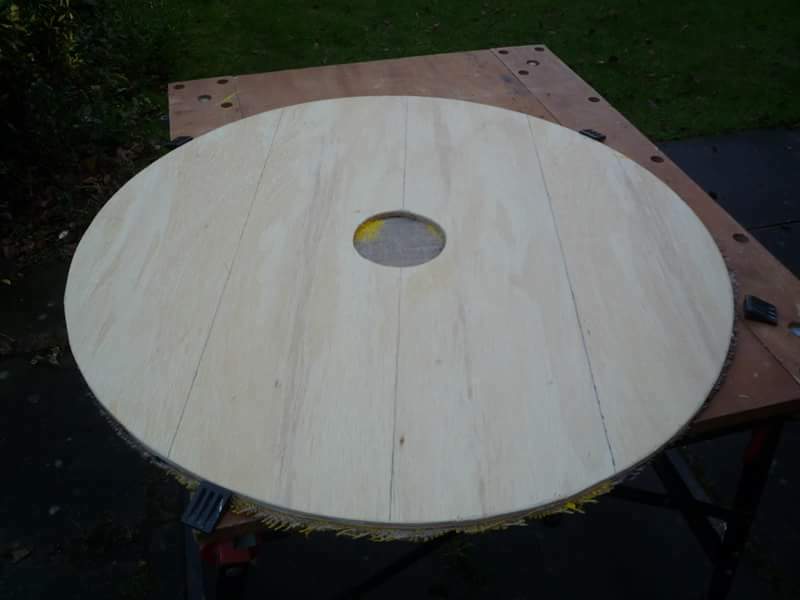 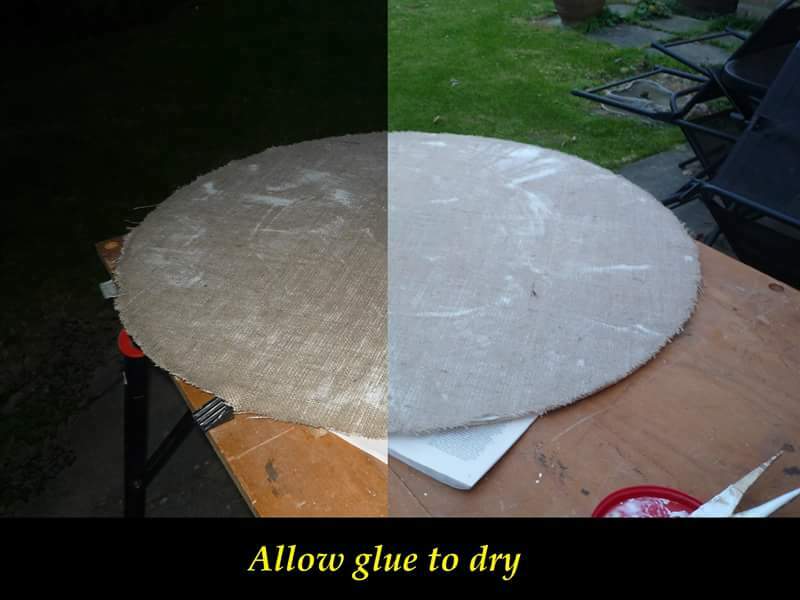 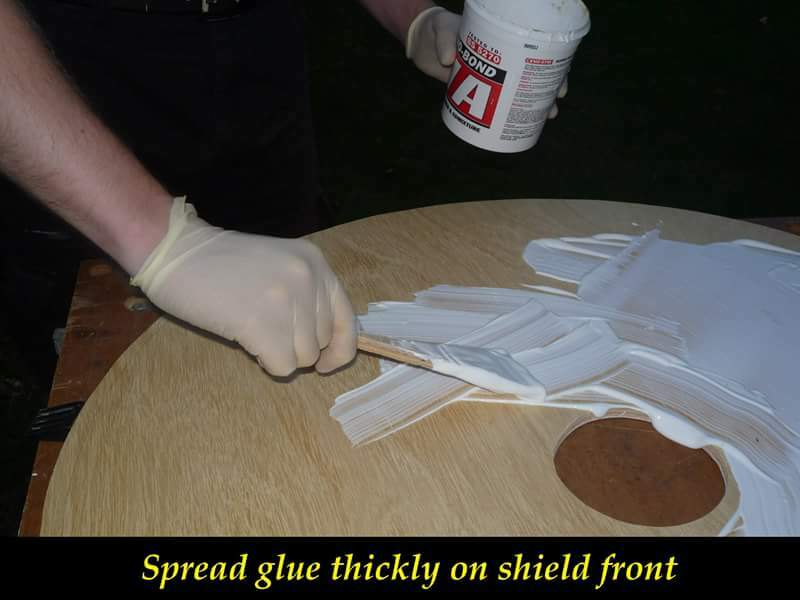 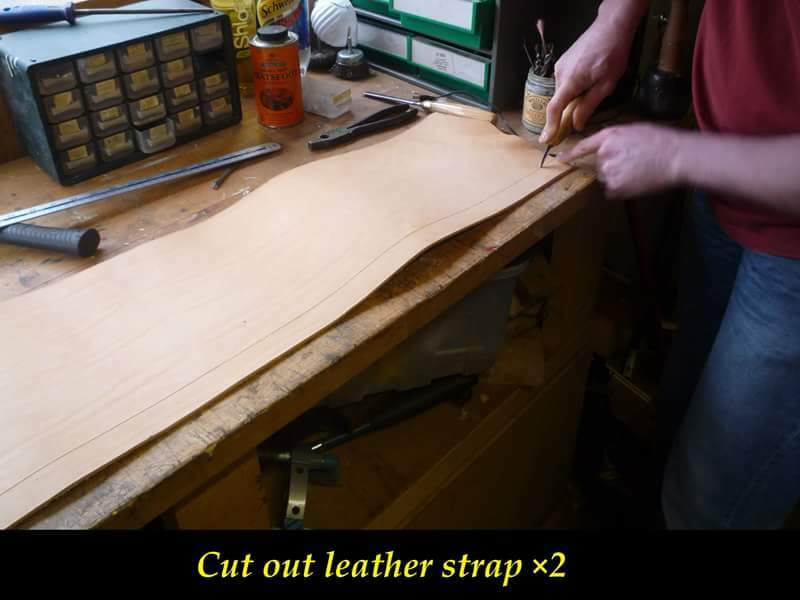 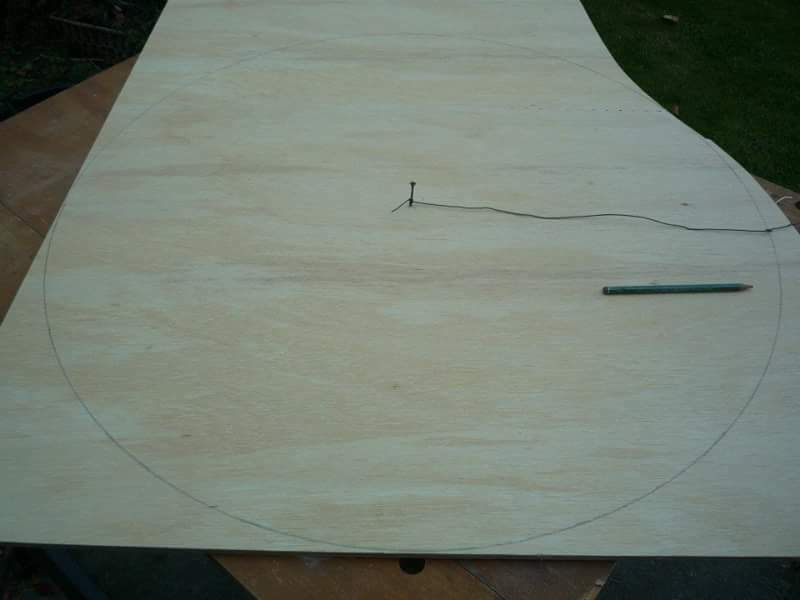 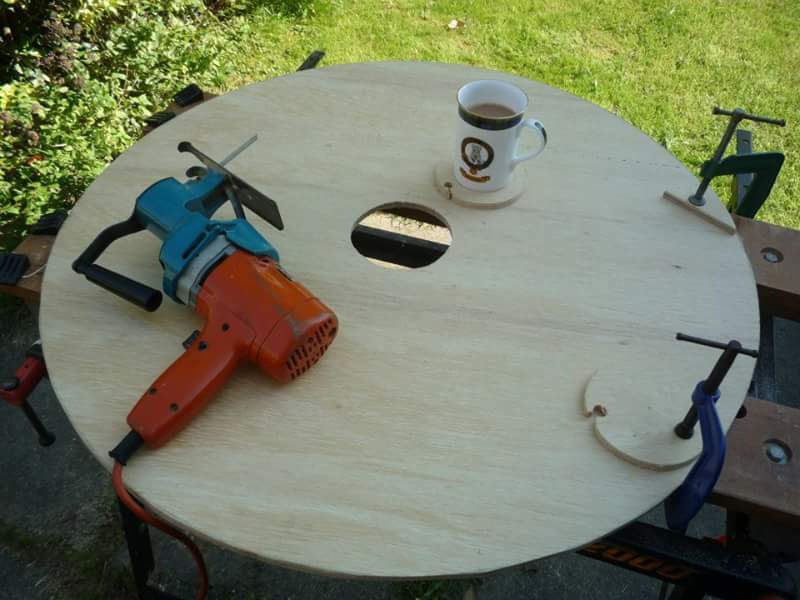 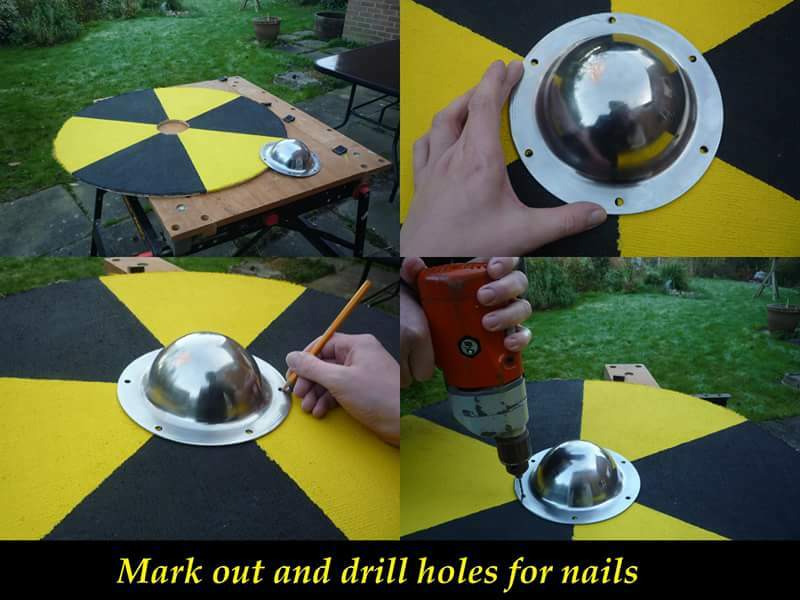 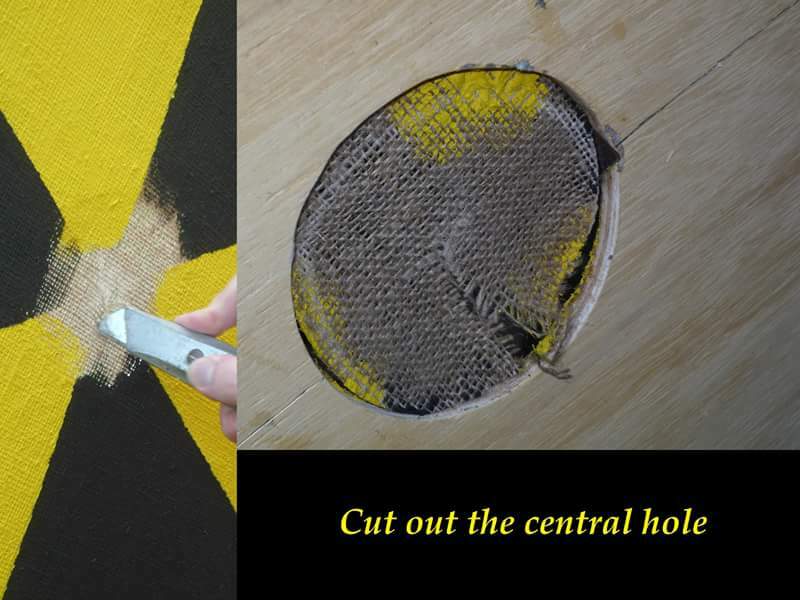 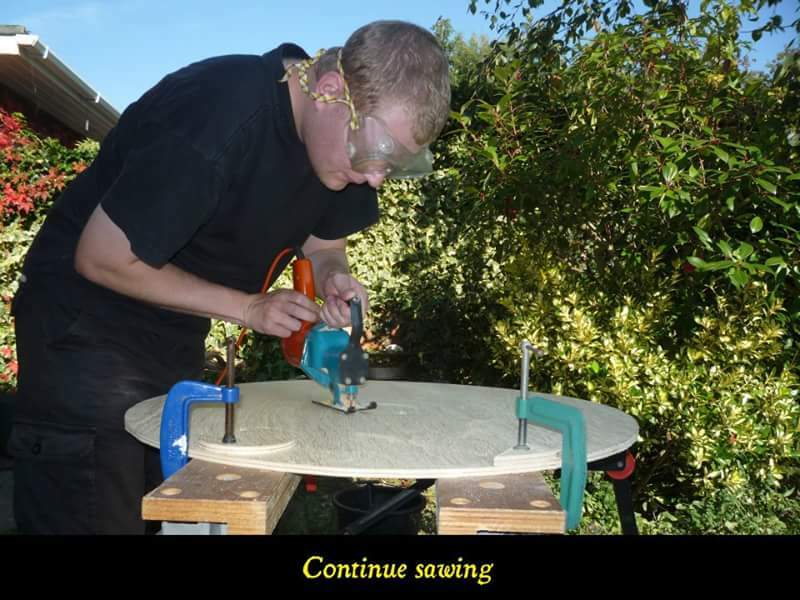 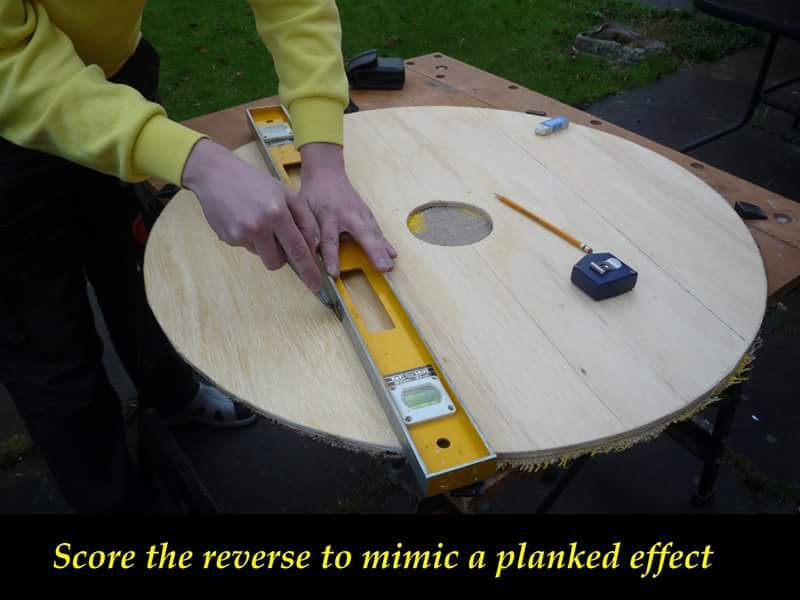 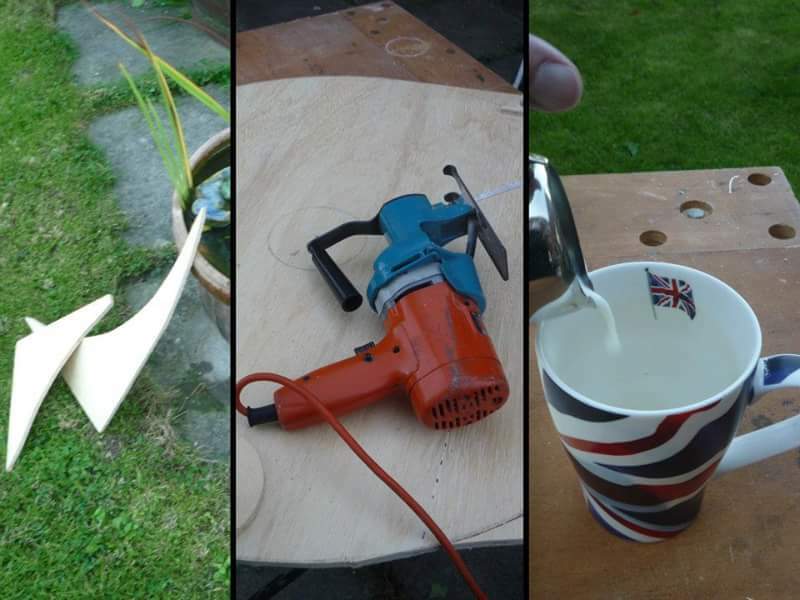 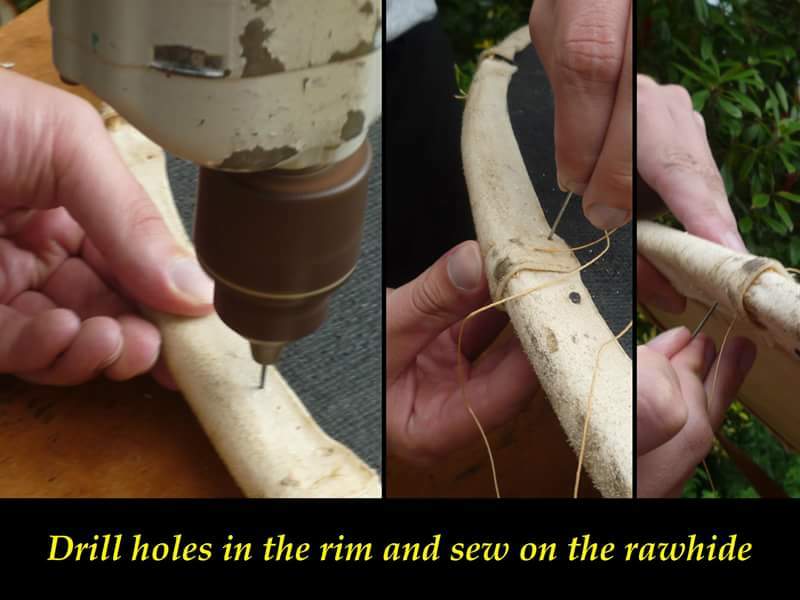 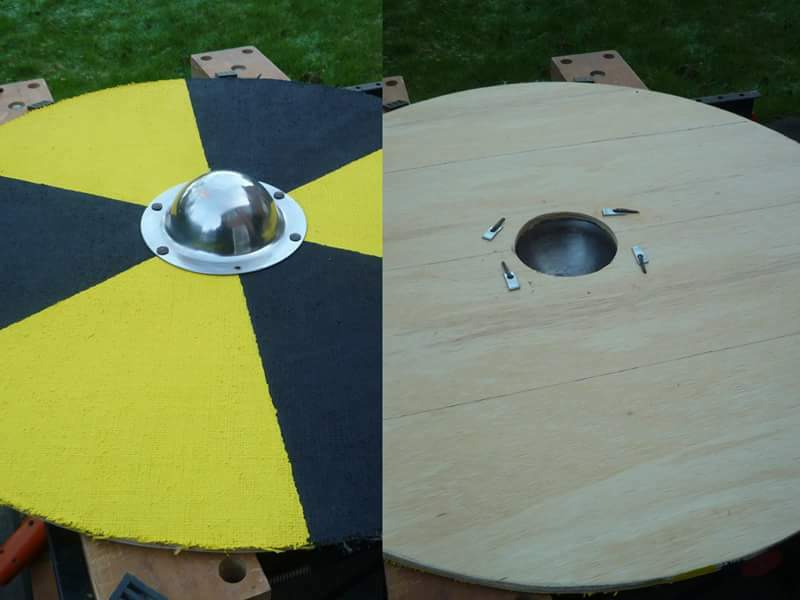 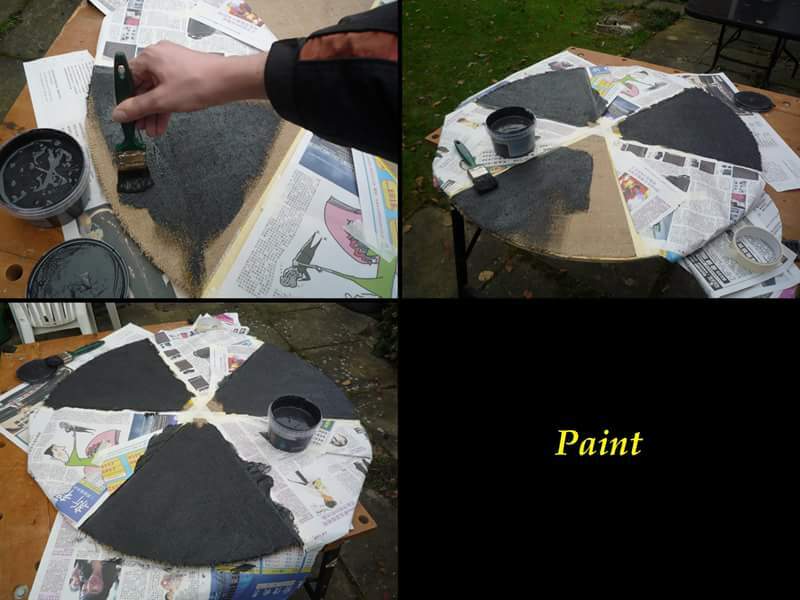 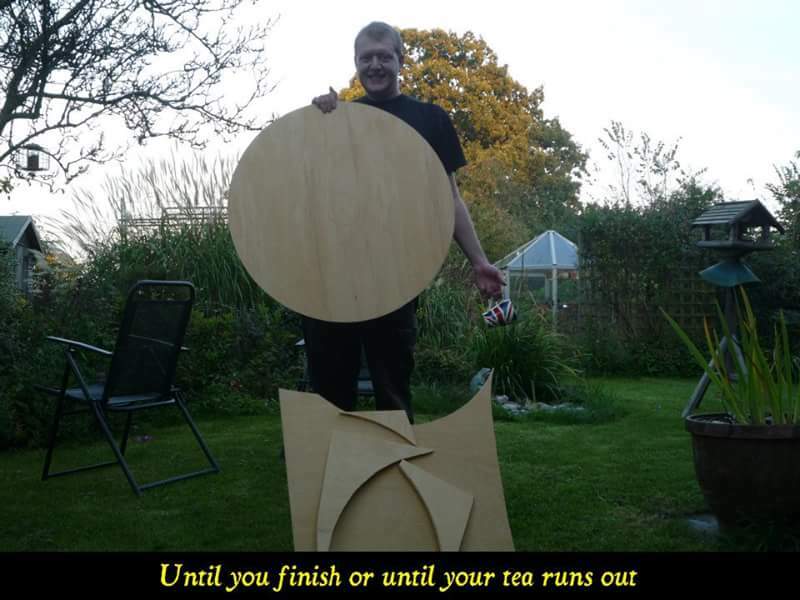 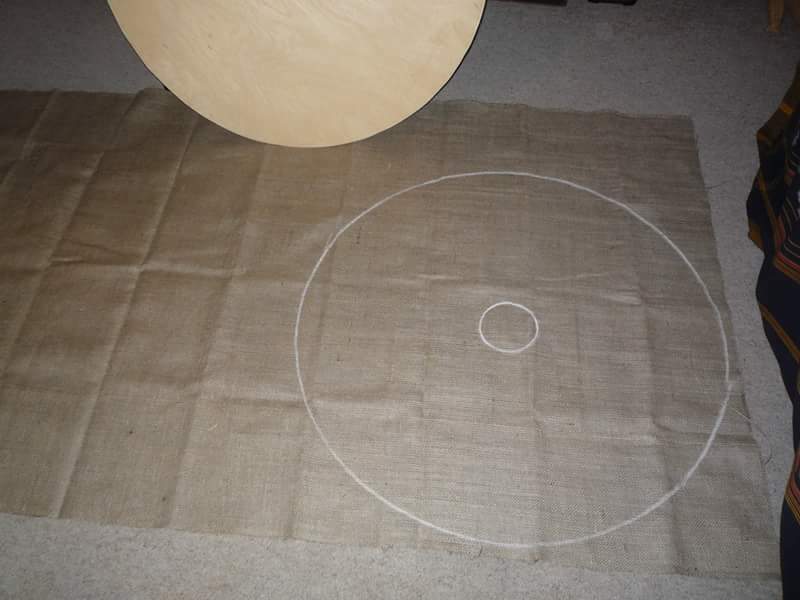 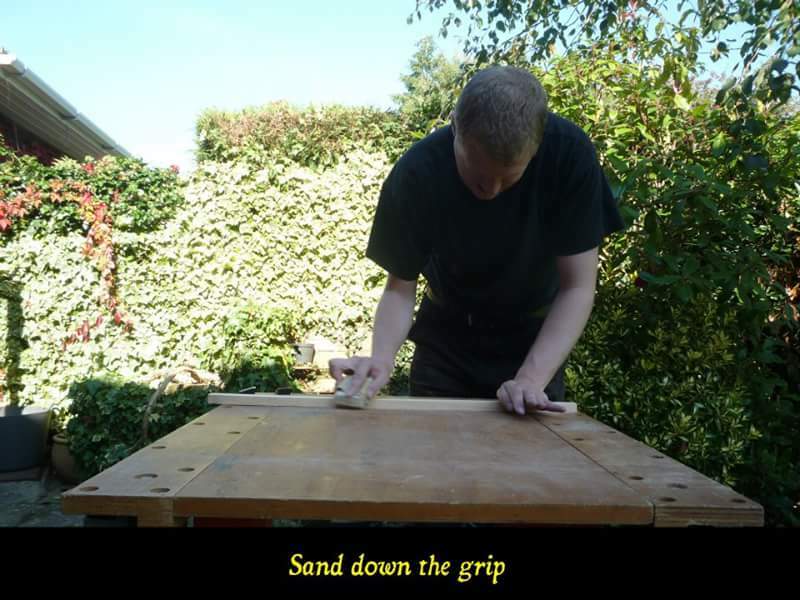 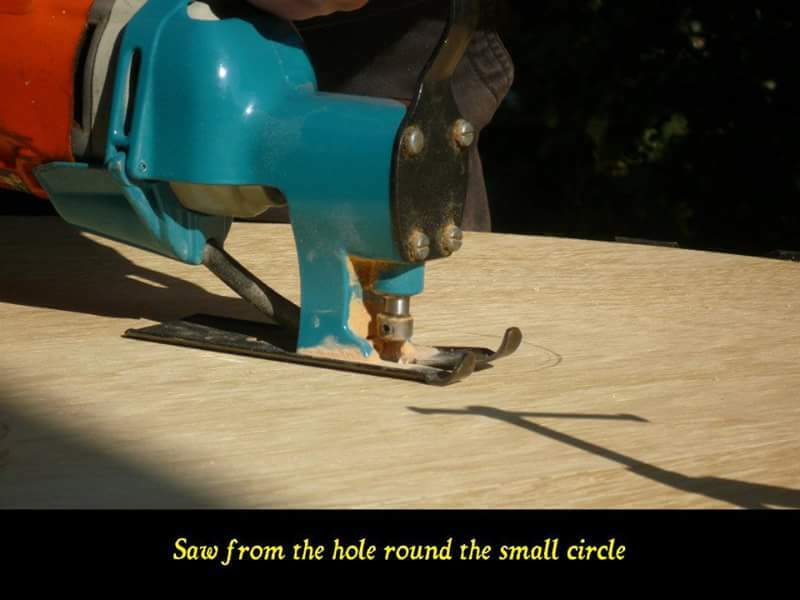 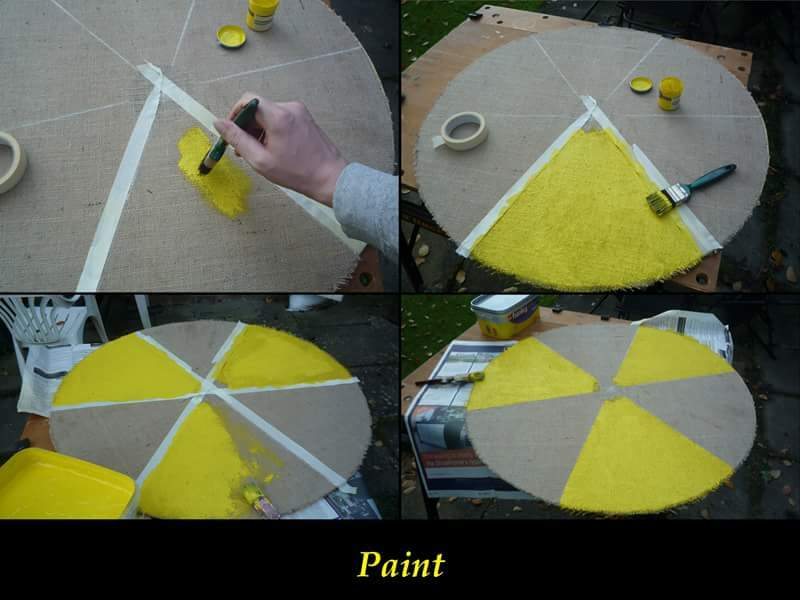 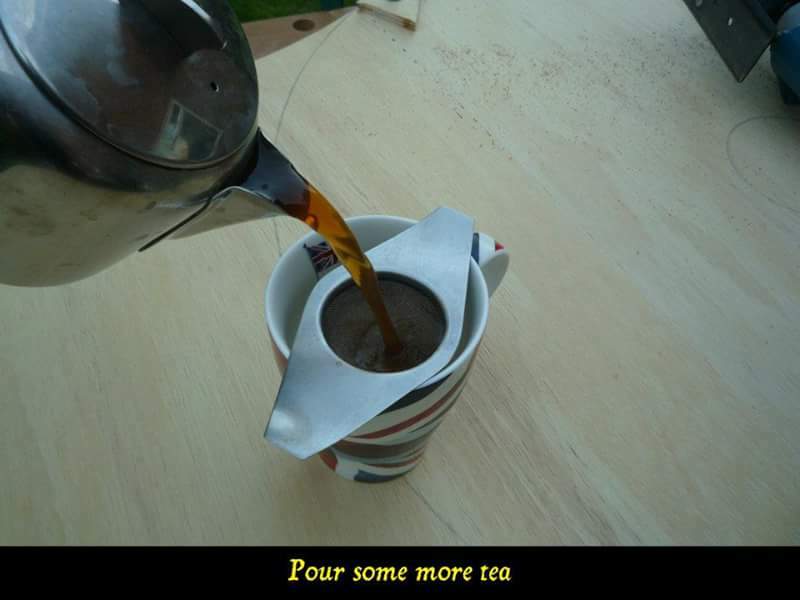 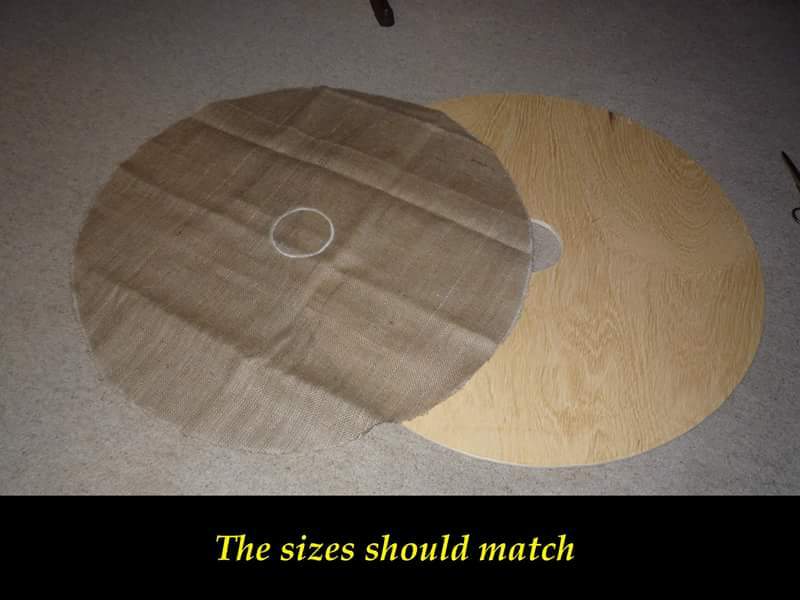 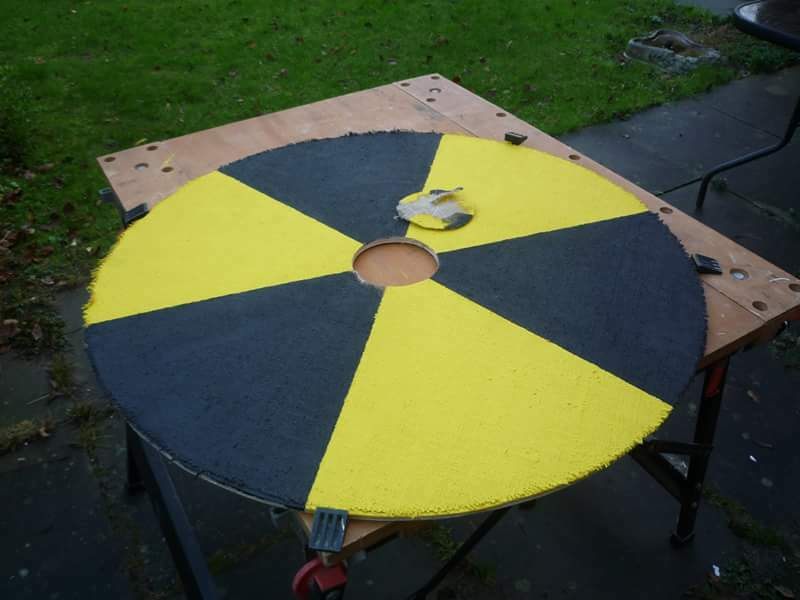 This is a guide to making a round shield. 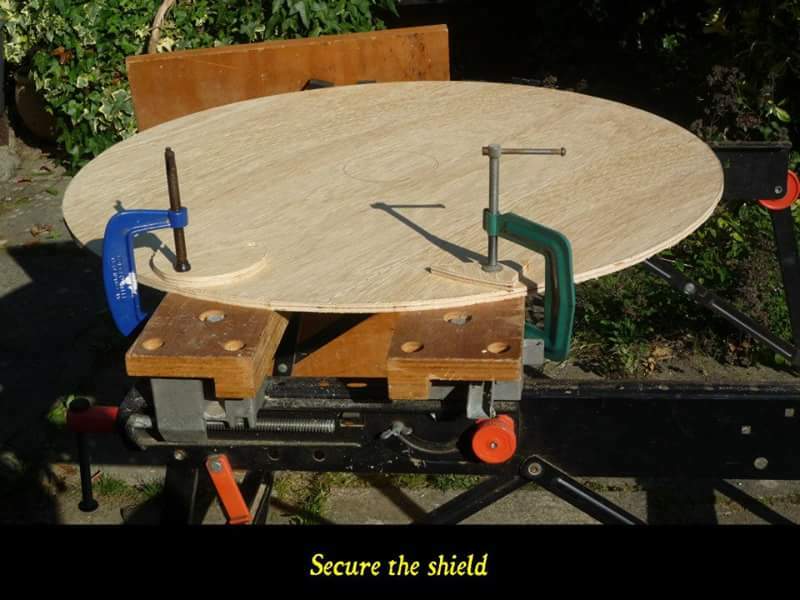 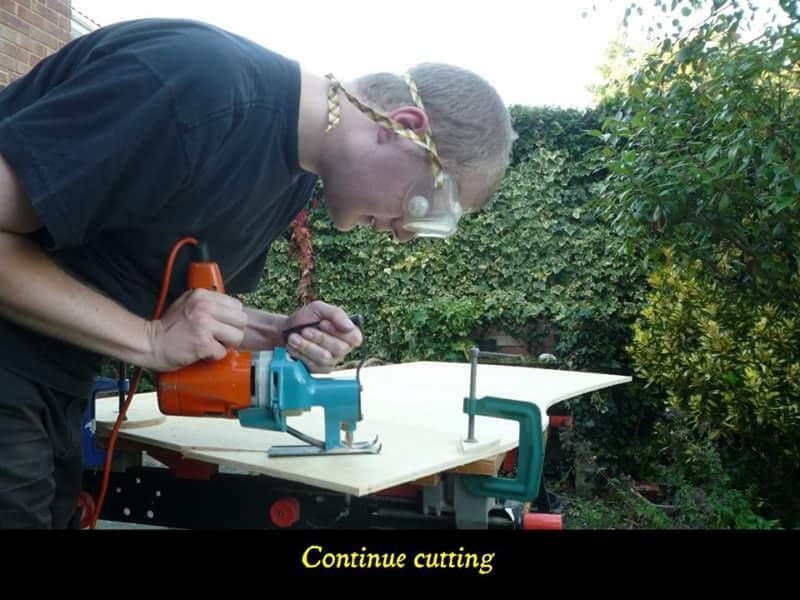 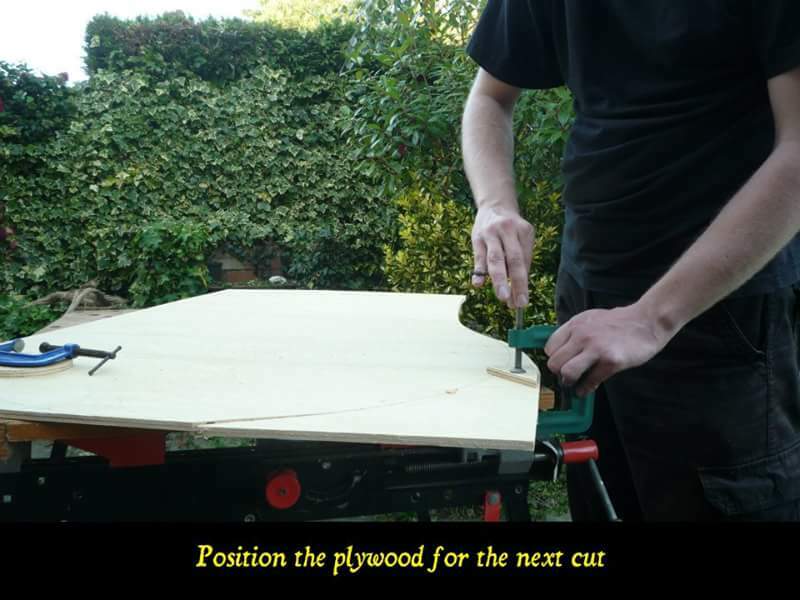 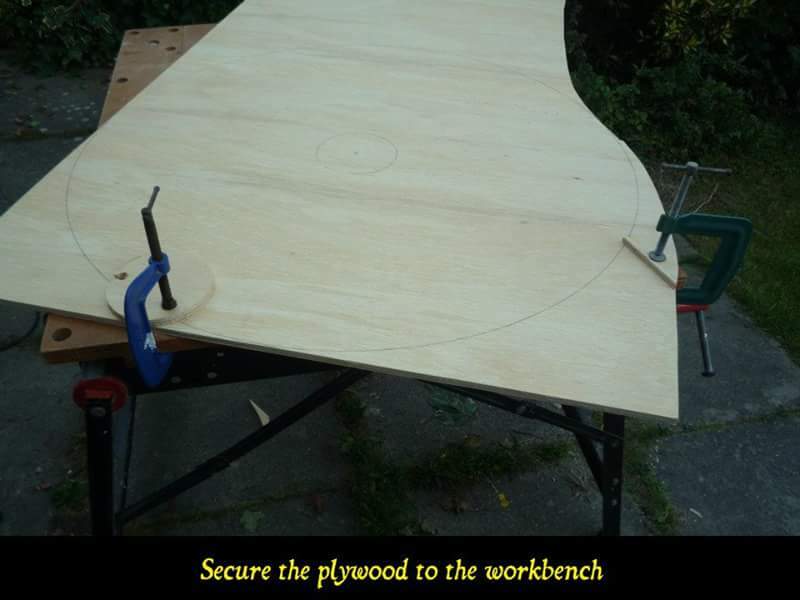 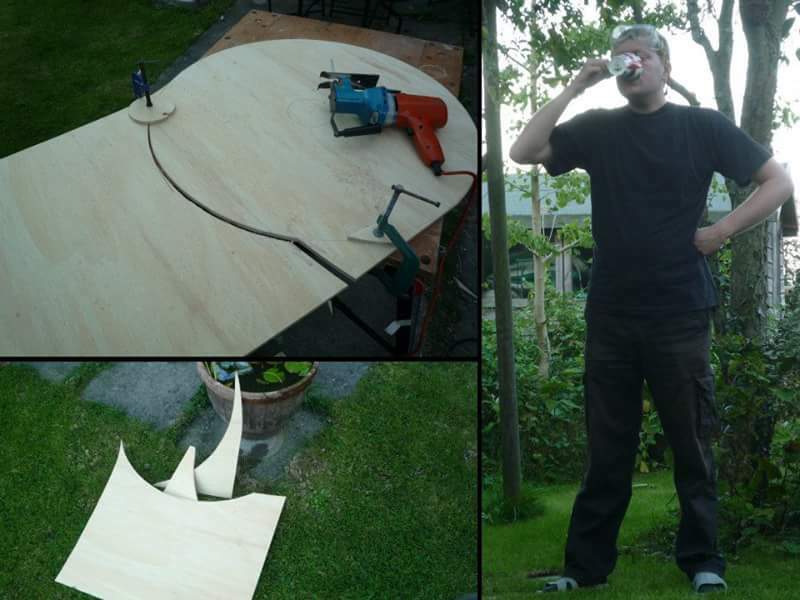 1 × 9mm thick plywood, big enough for shield. 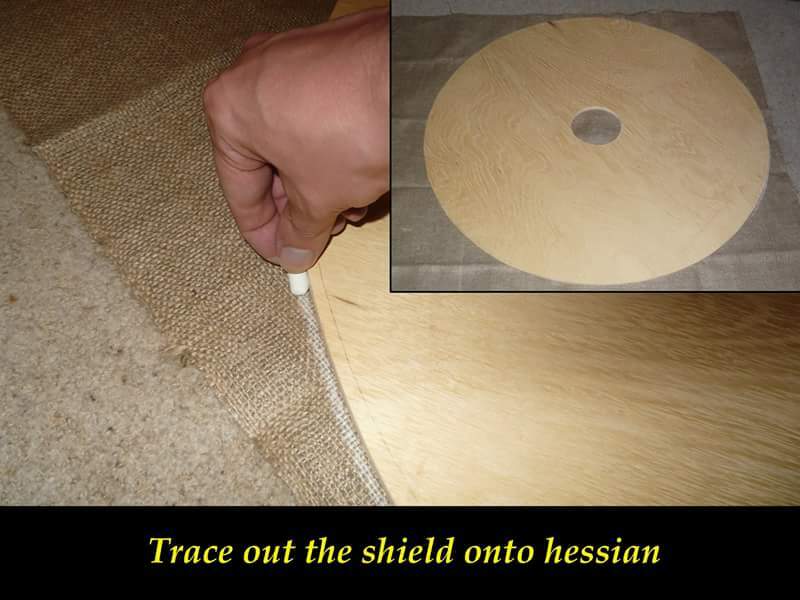 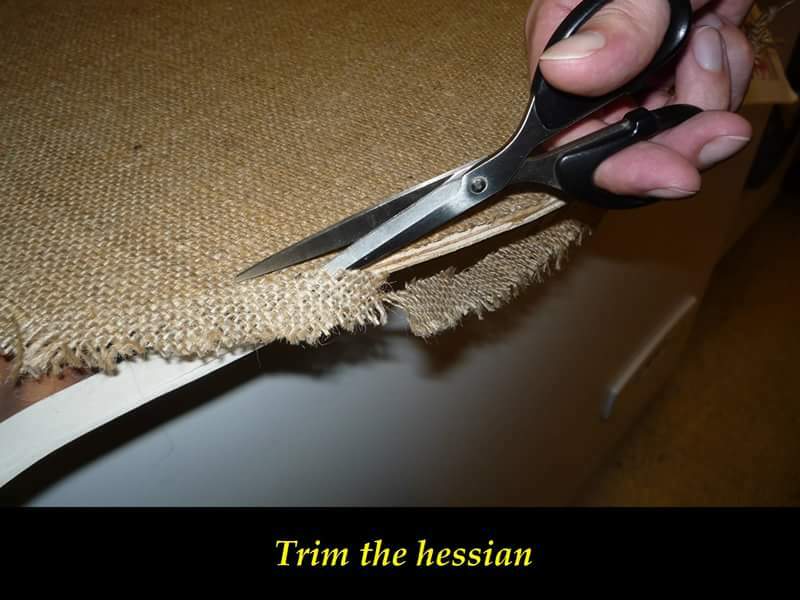 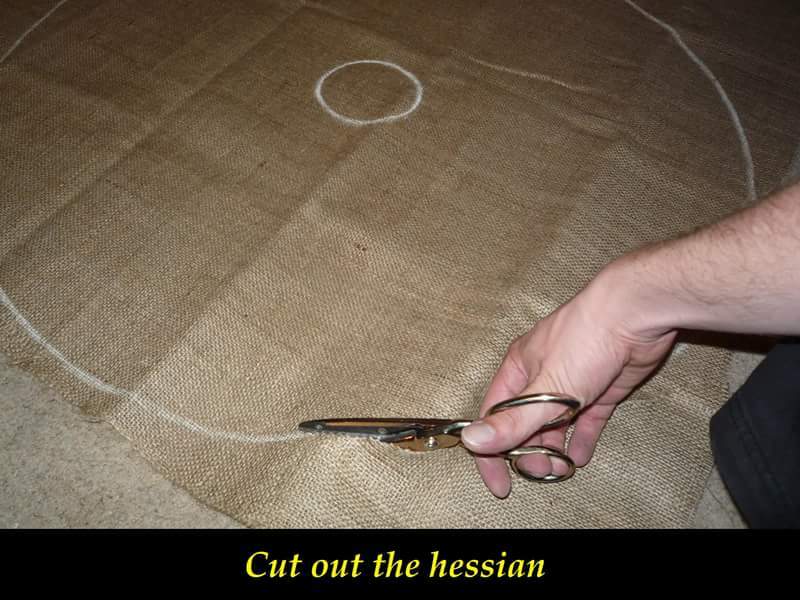 1 × sheet of hessian or similar cloth to face the shield with. 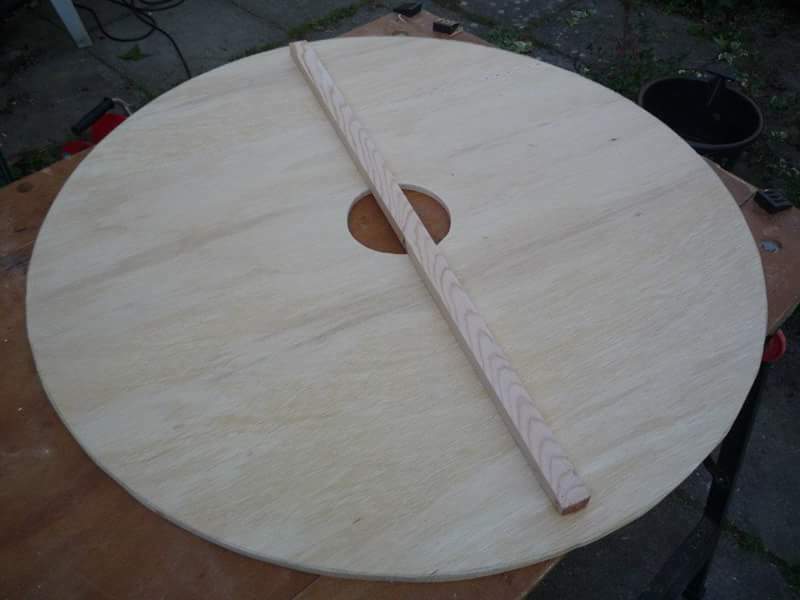 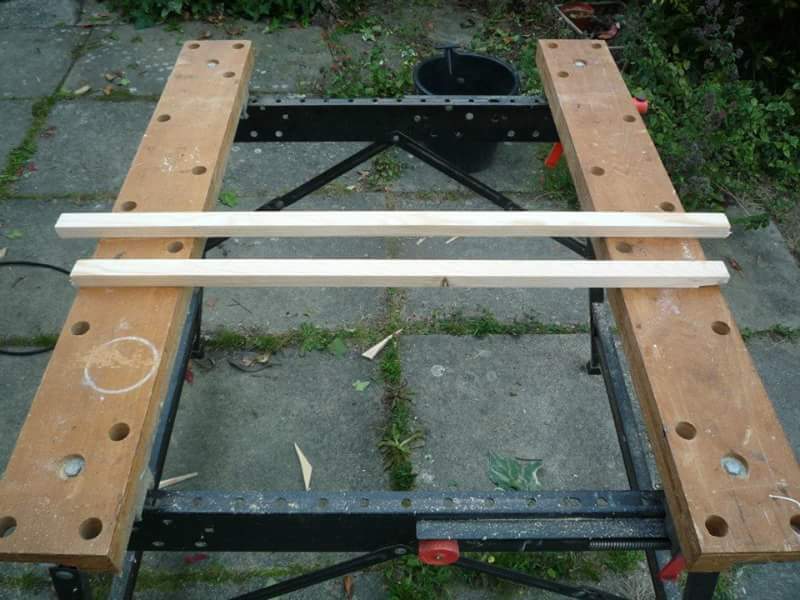 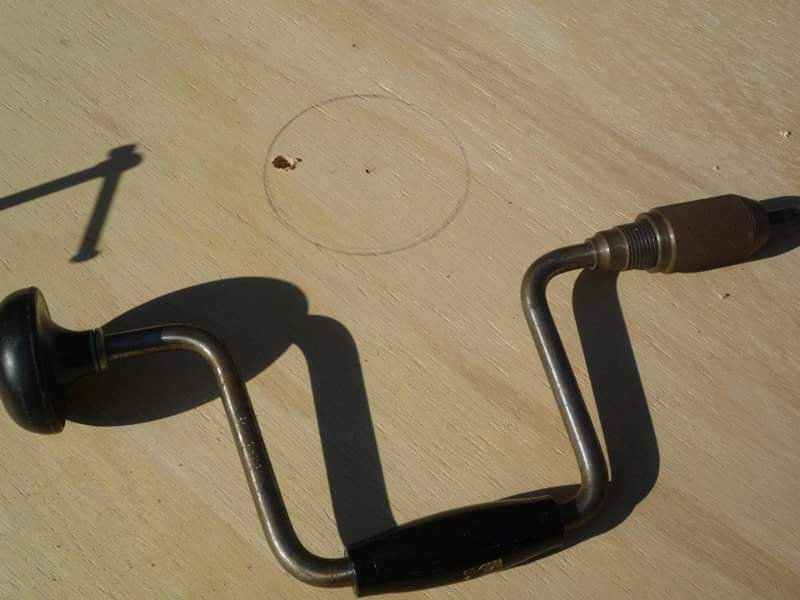 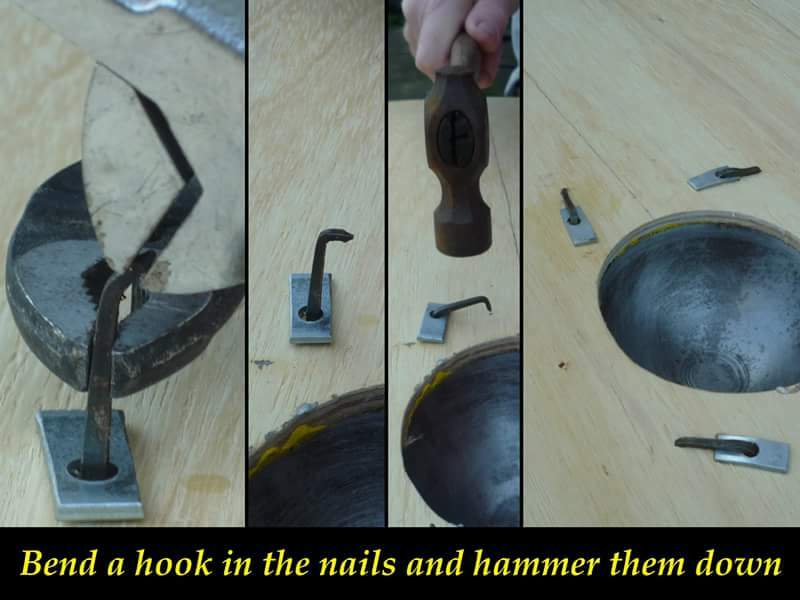 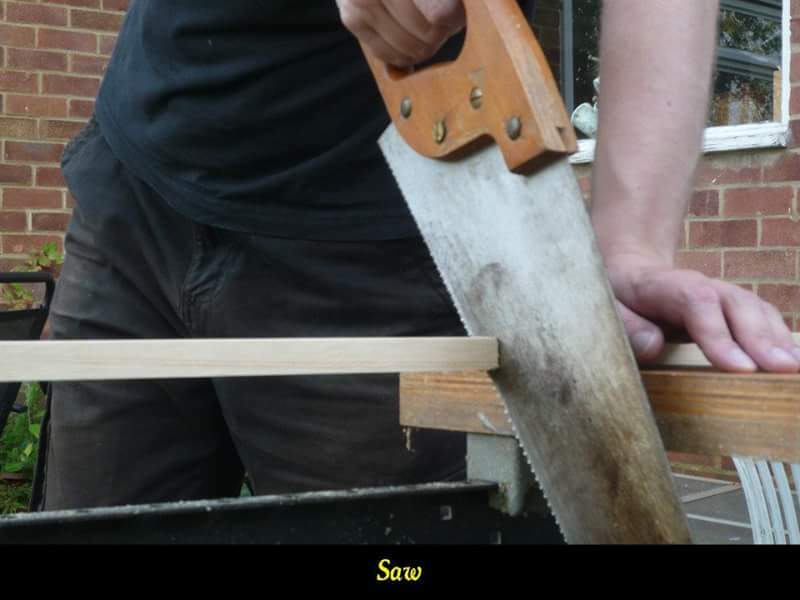 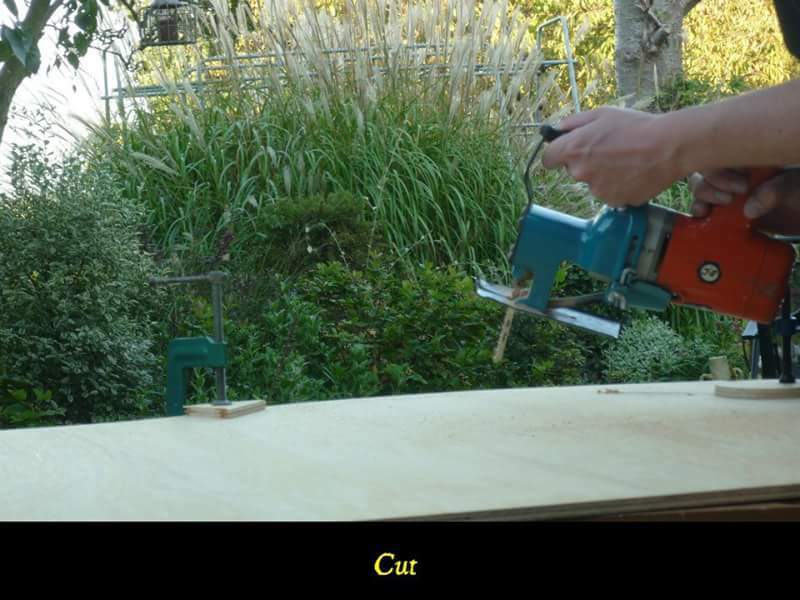 1 × handle, or bit of wood to make into a handle. 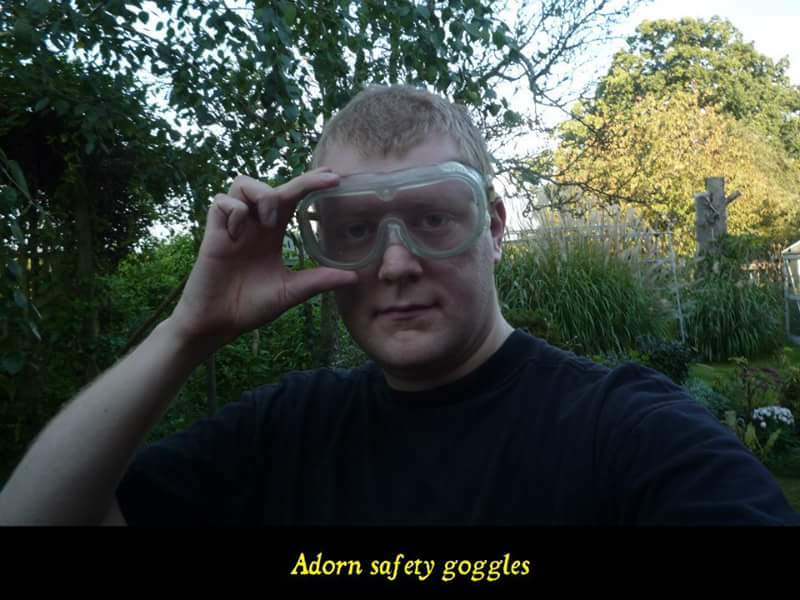 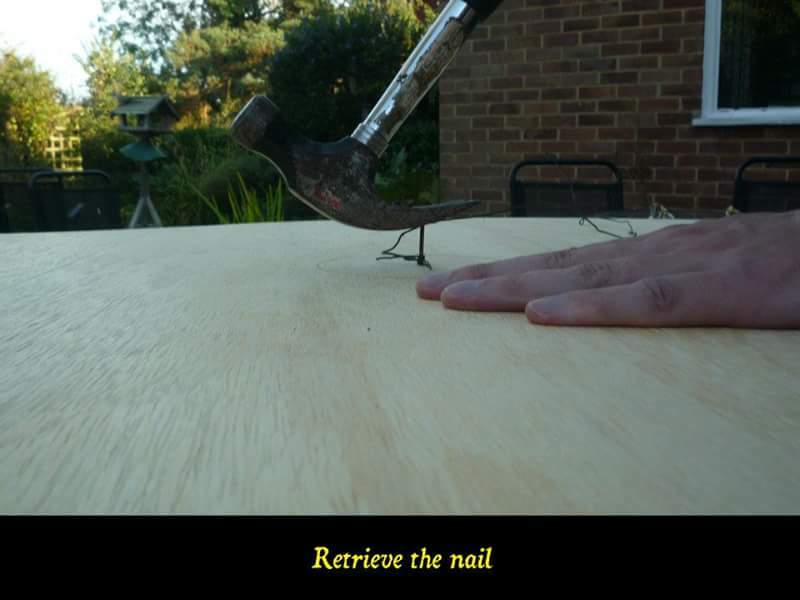 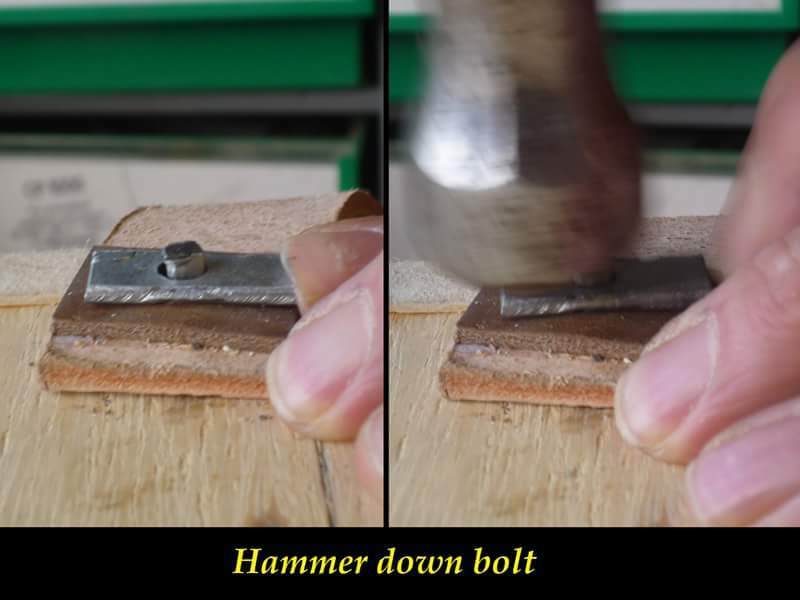 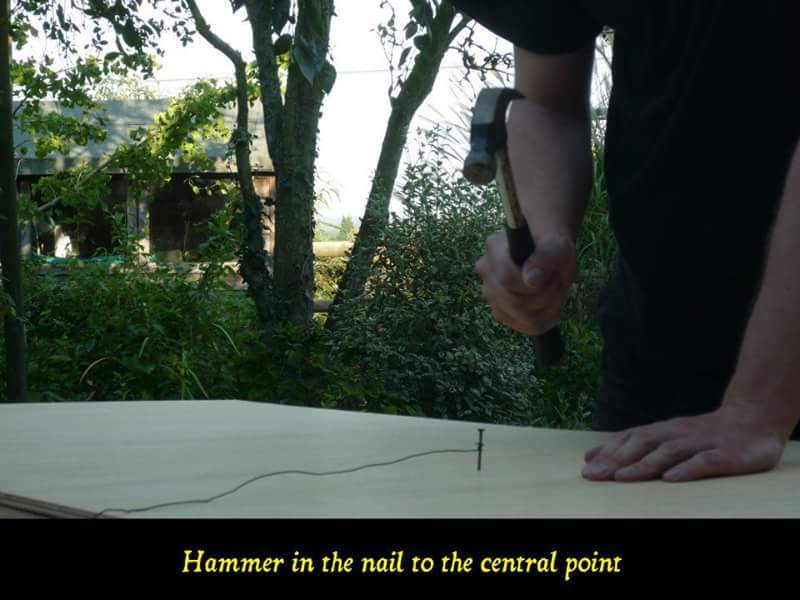 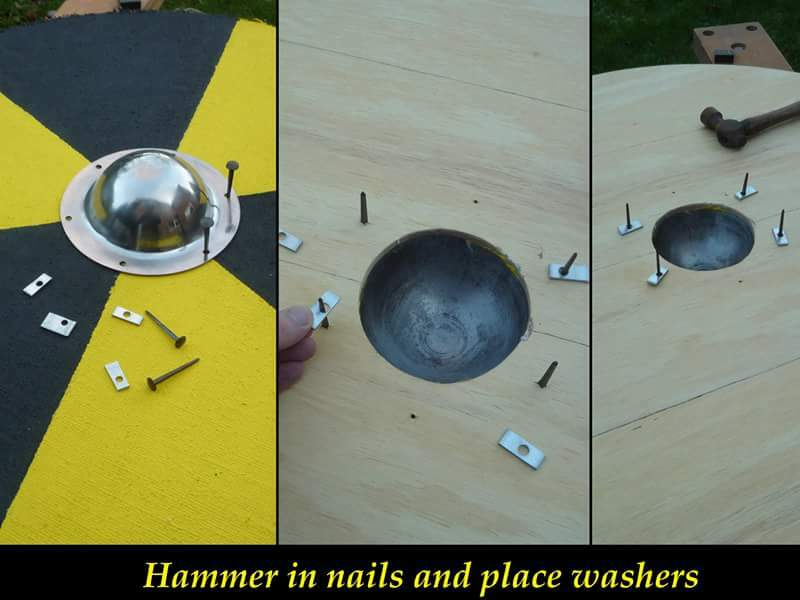 About 10 × nails or rivets. 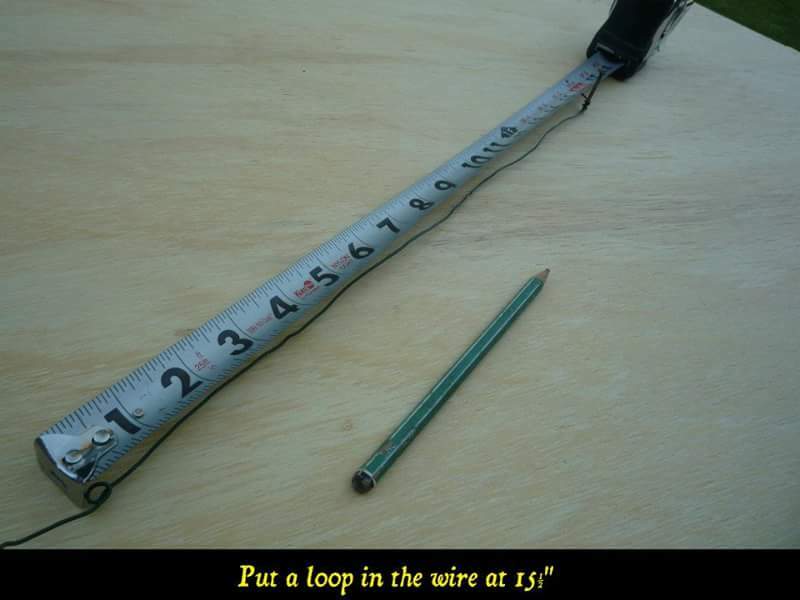 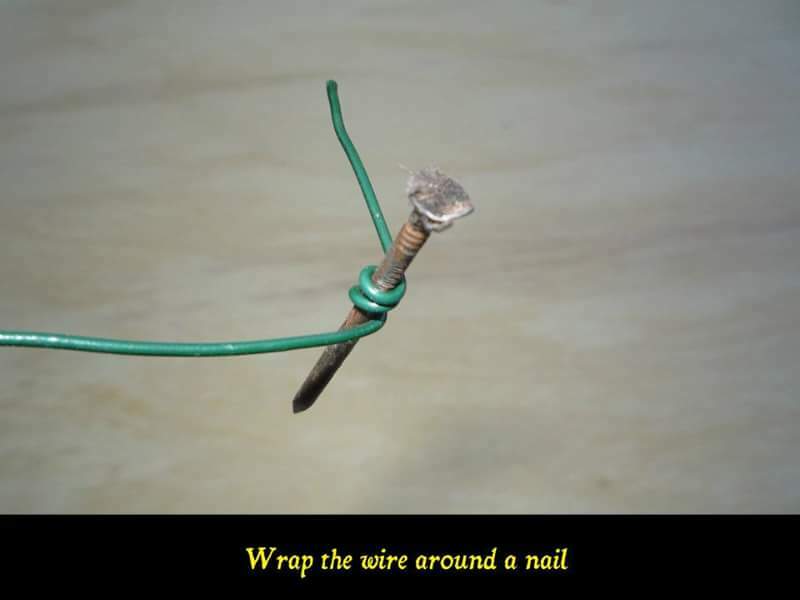 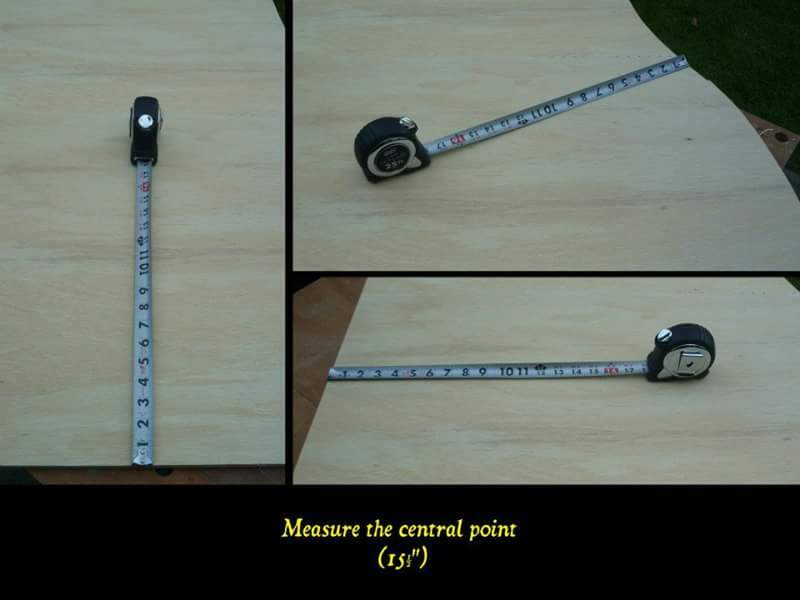 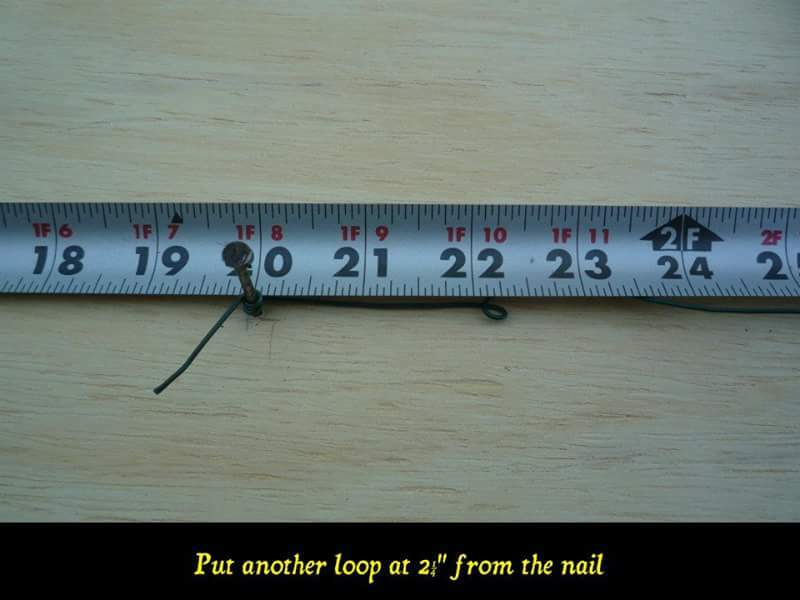 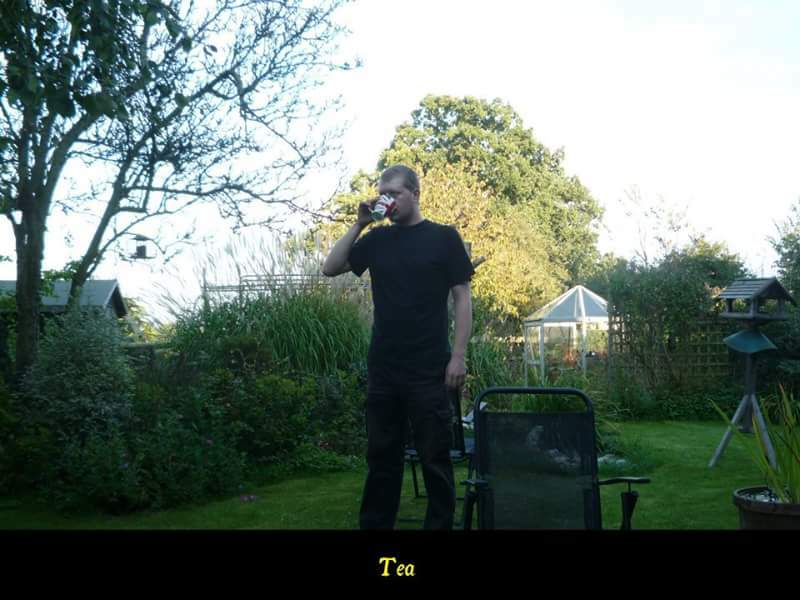 1 × length of wire, longer than the radius of the shield.